I'm reading the first book I've read in a long time. It's the first book that has reached inside and grabbed me by the heartstrings in even longer. 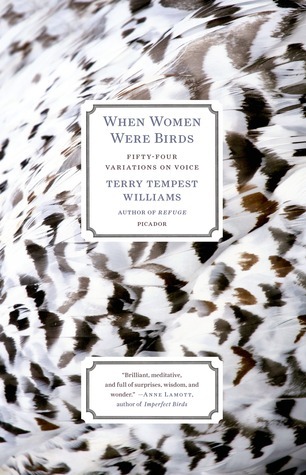 When Women Were Birds: Fifty-Four Variations on Voice, by Terry Tempest Williams, is a book about just that. Finding one's voice. Or choosing silence as that is also powerful. Williams' mother, part of a large Mormon family and bound by her culture to journal, leaves her daughter shelves of empty pages. Williams' book is about figuring out why, mulling over the blankness her mother left, and using her own voice. Also, the inherent meaning in speaking or not. This is a book of perspective. A book that demands attention. That unfolds in fifty-four chapters...vignettes built on the author's life, of figuring things out over time. I was having a small existential crisis on Twitter this morning before I remembered I had a hematology appointment and had things to do today other than sit at my computer and navel-gaze. 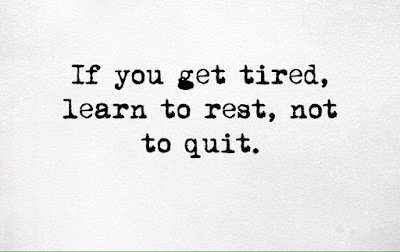 I ran out the door, was only 10 minutes late (a victory), and I left my phone in my purse in favor of reading and thinking in the quiet. The appointment ended with finding out that six months after the fact...after a transfusion and 17 iron infusions...I am still healthy. I've found a way to control my anemia. It's also the same office where one of my best friends is doing her chemotherapy treatments. So much to do and think. Tonight I have my second class of the summer term, so I'm planning for that. I'm going over last term's class notes, reviewing the university's pre-built lecture material, and printing off copies of "Learning to Read" by Malcolm X for our discussion. I'm also emailing a student--a Dallas police officer--who lost close friends in last week's shootings. This week he will miss class for funerals. There are bigger problems than my navel. There are also bigger victories. Like my son inching steadily toward his summer reading goal, working hard to make gains before first grade starts. It's a partnership and understanding we have that we will do this thing together. 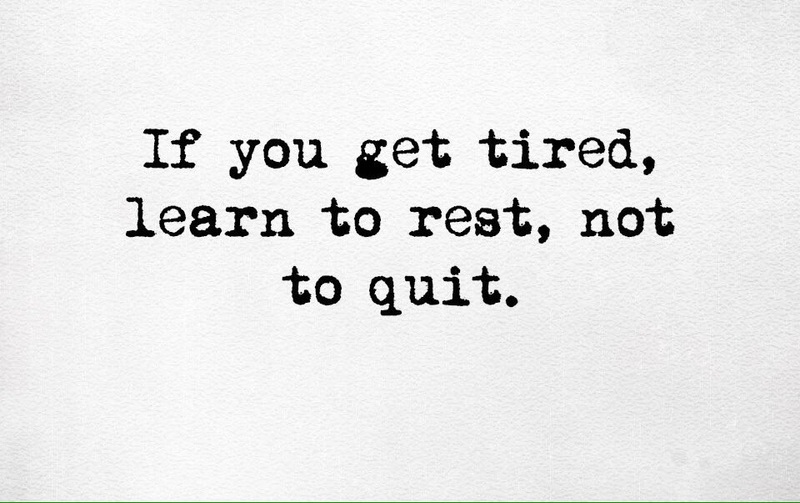 It's our first real conversation about trying your best...about working harder than you think you can. He's three hours away from a pool party and BBQ to celebrate. We will do this. The world has always had a way of handing me the right lesson, the right comfort, the right demands, at the right time. When Women Were Birds issues a challenge that echoes the one issued by Williams' mother: what is your voice? Will you speak or be silent? What is a woman's voice? I'm not sure what I have to say just now. A lot and nothing. I'm trying to be kind to myself and ride this out for a while to see what's at the center of this feeling. I do know I want to write more and write less. That is, for the things I post here or elsewhere to be substantive, to serve a purpose, not to be thrown away. I've issued the call, so now I have to answer it myself. I want to use my voice more strategically. I want to do more. Right now, for instance, I'm fundraising for St. Baldrick's Foundation, a non-profit organization that funds childhood cancer research. In truth, the donation is already large and quite a surprise. I commented on one of Amanda's Facebook posts that I wanted to shave my head for charity--she did it four years ago--and the opportunity for a large donation presented itself...right then and there. Suddenly, in five minutes, I was planning to build on this large donation, and the end goal will be a hair-free me. 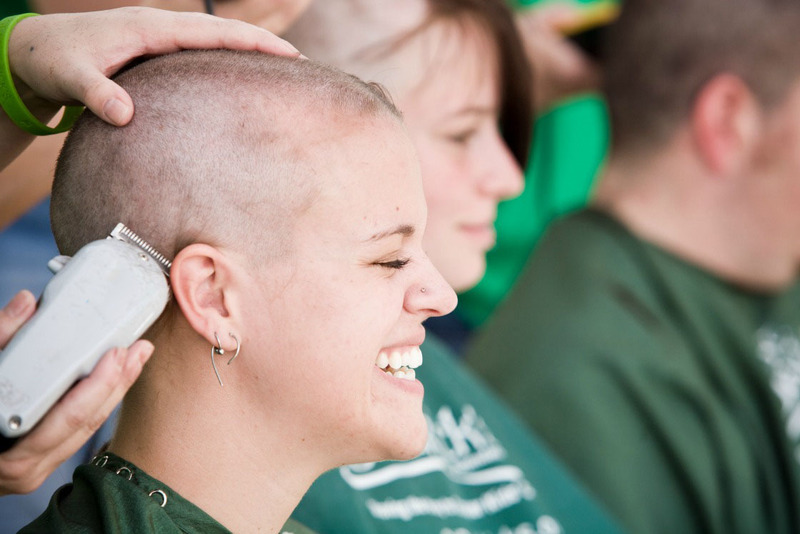 It's a small price to pay to be able to funnel $1,200-$1,500 to St. Baldrick's...such a very worthy organization. I haven't talked about it on my blog because it hasn't felt just right, but like I mentioned up above, one of my best and most respective friends is doing treatment for breast cancer. We've been to some doctor visits together, a chemo treatment. We've had a lot of long lunches and good talks. I am truly blessed to be on her team and to see her strength. We're excited to be hair-free together. There will be pictures and video. While $1,200 is amazing and already delivered to St. Baldrick's, I don't want to stop before August 2, the day I'll shave my head. If you or someone you love has been touched by cancer, please take the time to give a dollar, two, maybe five or ten? I know what it means to be financially limited...it's just a side effect of leaving my job...but I gave a little of my own, and I'm humbled to speak for this cause and give what I can. It's all about voice. The things we speak and the things we leave in silence. Rather than worrying about this blog and myself as a blogger one more second, rather than contemplating shouldas or couldas or expectations or best practices, I'm just letting it be. I'm attending to the people I love...off and online. There will be plenty of words. Heartfelt, always. But there will be silences, and there is meaning and the utmost priority in those, too. So sorry to hear about your friend. Kudos for you for going to chemo with her. It's hard to walk in to the centers the first time. But I found it strangely comforting - all of those people fighting hard to beat cancer and, in our case, amazing, amazing nurses to help with the journey. Thanks, Lisa! I know it was really hard for her, and I hope the fact that I went with her for the first time and could kind of give her a tour and introduce her to people was helpful. All of the people there are so great. They have to be. YES YES YES! I want to curl up with Terry Tempest Williams and do each other's hair and talk about wise, in-depth, woman-centric things. I was so tempted to flip back to the beginning of the book and start again immediately, but I decided to let it sink in a bit more before I do that. I can see getting so much more out of that book on every reading. Thank you, Leah! Andi, that is great news that you are doing well in controlling your anemia. I'm so sorry your friend has to go through the hell that is cancer. It has touched my life and today I just found out a friend of the family is starting treatment soon. I would love to see a world without this disease. Anyway, just went over to St. Baldrick's page and made a small contribution. Thank you for posting this!